Sam is a self-taught artist who specializes in painting the English landscape. He has been working full time as an artist since 2017. 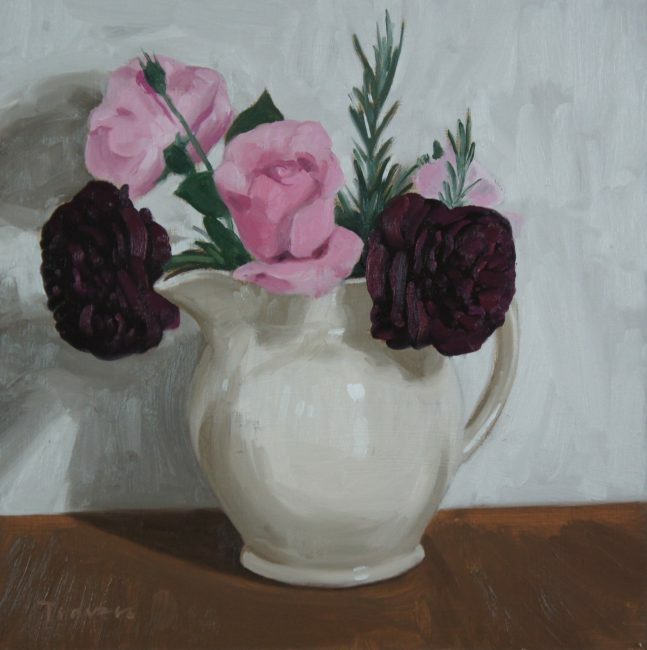 He has exhibited in London and regional galleries and also exhibitions including the Royal West of England Academy and the Bath Society of Artists. He studied History of Art at UCL and Conservation at Camberwell and went on to become a Specialist in 19 th Century Paintings for Bonhams Auctioneers. His influences most evident in his work are British artists working in the tradition of Constable and Turner who created a very personal response to their own landscape. Sam works in a studio he built just outside Bradford-on-Avon. It is the Wiltshire landscape where he lives that forms the bulk of his subjects, from white horses to the stunning scenery of the Avon Valley. He starts the creative process by drawing in front of the subject. These simple drawings are then worked up into fully realized oil paintings in the studio. The intention is to achieve a tension in his work between opposing forces: line and form, naïvety and sophistication, traditional and modern, whilst keeping an honesty that makes it approachable and familiar. Sam’s aim is to carry on recording life in the country and capturing surprising beauty in unexpected places.